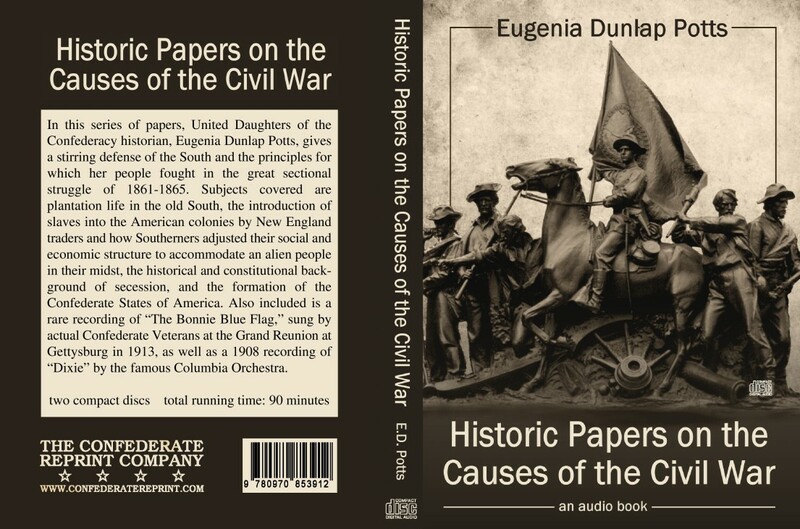 In this series of papers, United Daughters of the Confederacy historian, Eugenia Dunlap Potts, gives a stirring defense of the South and the principles for which her people fought in the great sectional struggle of 1861-1865. 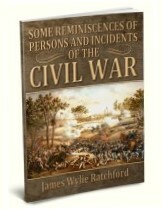 Subjects covered are plantation life in the old South, the introduction of slaves into the American colonies by New England traders and how Southerners adjusted their social and economic structure to accommodate an alien people in their midst, the historical and constitutional back ground of secession, and the formation of the Confederate States of America. Also included is a rare recording of "The Bonnie Blue Flag," sung by actual Confederate Veterans at the Grand Reunion at Gettysburg in 1913, as well as a 1908 recording of "Dixie" by the famous Columbia Orchestra.